Yangpu is home to a third of Shanghai’s universities as well as numerous scientific research institutes. Notably, Fudan University is located here. Being the oldest university in China, Fudan is hailed as the most selective and prestigious university in the country. It offers comprehensive and challenging programs, most especially in physical and social sciences. Another distinguished school, Tongji University, is in the area. Yangpu is a large, low-key residential area, with 11 sub-districts, including the communities located in Wujiaochang and New Jiangwan Town. Not too far from the glitz of central Shanghai, Yangpu offers a quiet and convenient retreat from the busyness of Shanghai’s metropolitan districts. 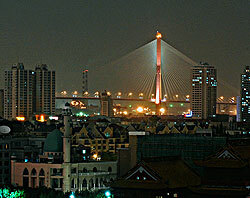 Wujiaochang is a popular area. If you find yourself face to face with a fabulously glitzy transparent and brightly-lit egg-shaped structure, you’re in the right place! The district plans to integrate cultural, residential, commercial and entertainment developments and to become Shanghai’s second city centre, not least by wooing more retail stores, and improving the transportation system.